The Bulls didn’t make a trade before the NBA’s trade deadline on Thursday, but according to David Aldridge, that doesn’t mean they aren’t interested in adding players to the roster. 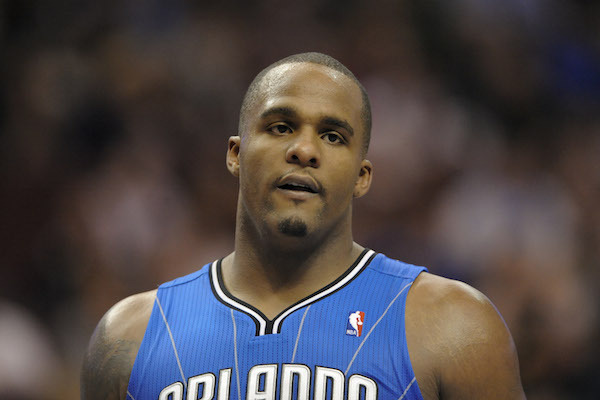 Aldridge tweeted on Friday night that the Bulls are interested in Glen Davis, who was just bought out from his contract by the Orlando Magic. 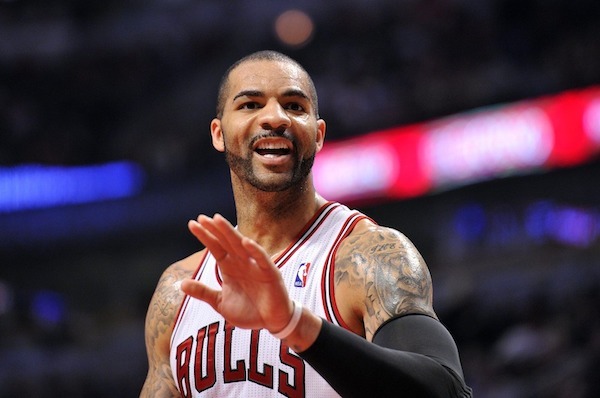 What Exactly Have The Bulls Told Carlos Boozer? So apparently I missed some pretty big news while half-assedly paying attention to the Bulls game against Brooklyn last night. While flipping back-and-forth between the Bulls and the Olympics I must have missed a sideline report from TNT’s Craig Sager that dropped a few bombs on the viewing populace. Lest you start to believe that I don’t care about the Cubs, I’ll have you know that I’m aware Frank Thomas wasn’t the only player with Chicago connections who will be entering the Hall of Fame this year. 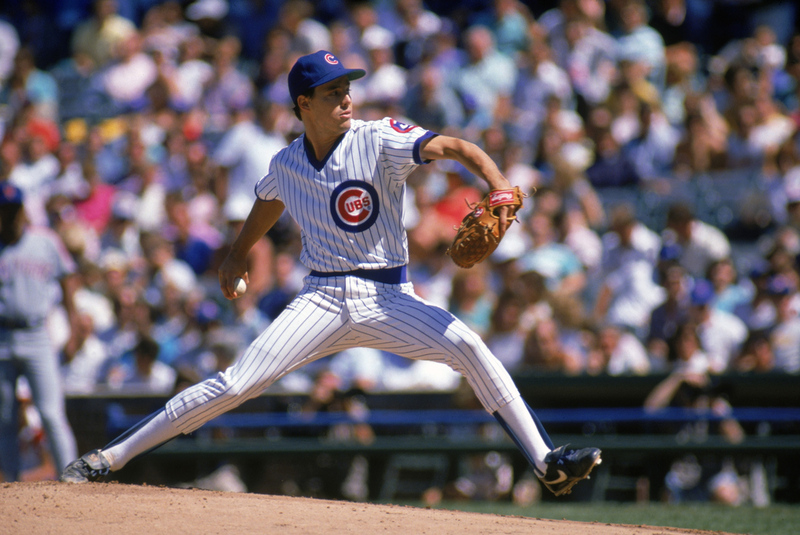 It’s just that I don’t really consider Greg Maddux a Cub. I know his career started on the north side, but Maddux left Chicago for Atlanta following the 1992 season. I wasn’t yet 13 years old, and my true sports consciousness hadn’t really developed yet. I knew who Greg Maddux was, I knew he was good, and I even saw him pitch in person a few times. I just wasn’t old enough to know what any of it meant. So the Maddux I truly grew up watching was the Atlanta Braves version of Greg Maddux. And he was the greatest pitcher I’ve ever seen, and anybody who didn’t vote for him was an idiot, even if they only left him off because they knew he’d get in so they tried to help another player’s chances. But when he goes into Cooperstown this summer his plaque will be wearing an Atlanta Braves hat. That’s how I saw him, and how I’ll always see him. While Patrick Kane will be the only Blackhawk to play for the United States in the Olympics next month, he’s far from the only Olympian on the team. That’s a photo of all of our Olympians above, and I suppose it’s a good thing to have so many great players on your team. Of course, there’s a flip side to that. 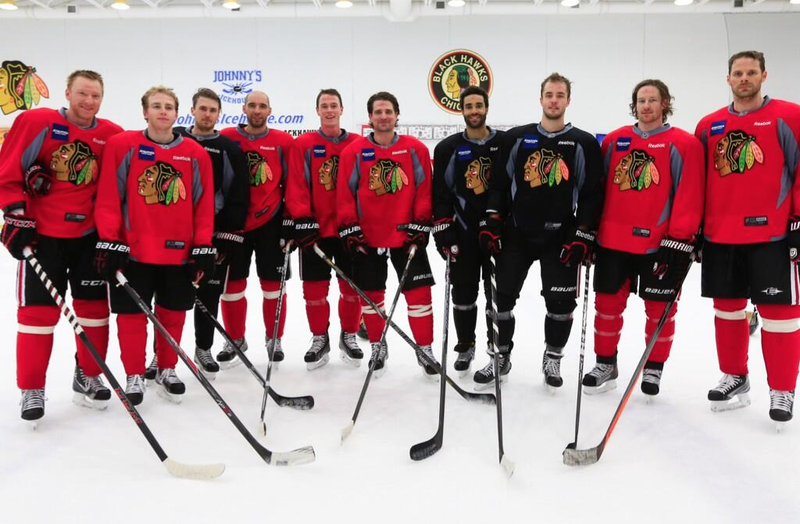 While many NHL players will spend the Olympic break actually taking a break, just about every important player on the Blackhawks roster will be playing hockey. And when you’re playing hockey there is the inherent risk of injury of both the lower and upper body varieties. I won’t pretend that this doesn’t worry me because the Blackhawks are one injury away from this season going in a very different direction. Just ask the Bulls how that works. So while I can’t wait for the Olympics to get started — the Winter Olympics are far and away my favorite variety of Olympics — I can’t wait for them to be over, with everybody all in one piece. 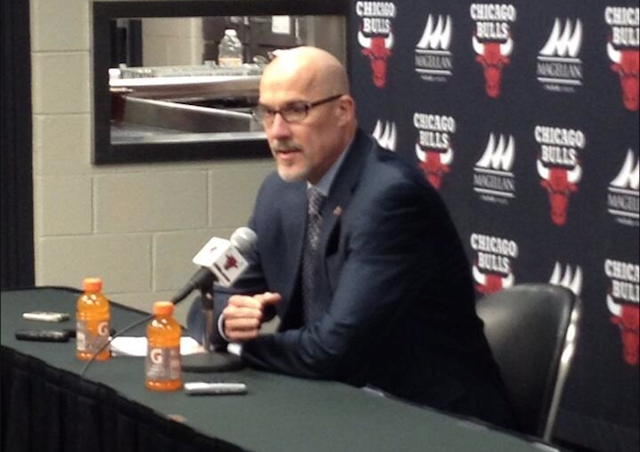 You know how I became a Bulls fan? Because I was born at the right time. My formative years were spent watching Michael Jordan, Scottie Pippen and Phil Jackson. From the time I was 10 years old until I was 17 the Chicago Bulls won six NBA titles. At that point, it was somewhat hard not to become hooked. 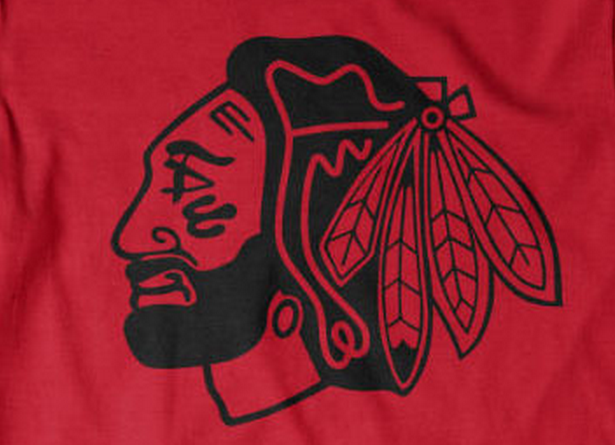 What I wasn’t nearly as into at the time were the Blackhawks. Most of the games weren’t on television, and many that were coincided with Bulls games. The Blackhawks were good, but they weren’t competing with Michael Jordan. Nobody was. A lot has changed since then, and more could change in the coming years.